Feature 1,New Quad-band industrial grade GSM module and intelligent microprocessor. 2,Temperature sensor and photoelectric sensor detection technology. 3,Built-in temperature sensor.can be set from 50 to 70 degrees Celsius. 4,Support SMS and Phone-call remote operation and settings. 5,Can be respectively preset 5 groups of SMS No.and Phone alarm No. 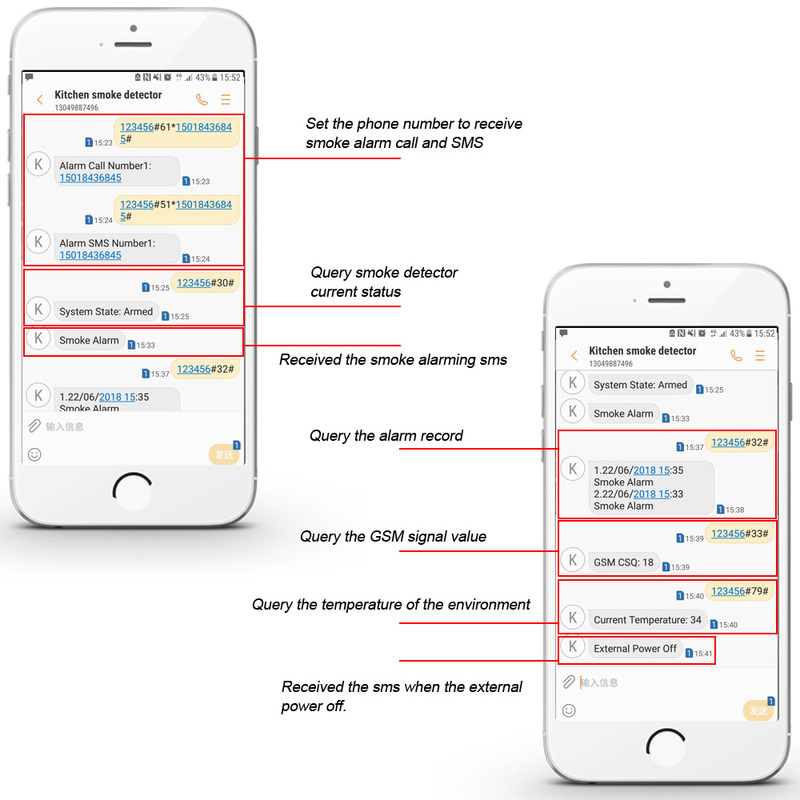 6,The contents of smoke and temperature alarm SMS is customized editable. 7,Inquiry though SMS: system status,alarm records and environment temperature. 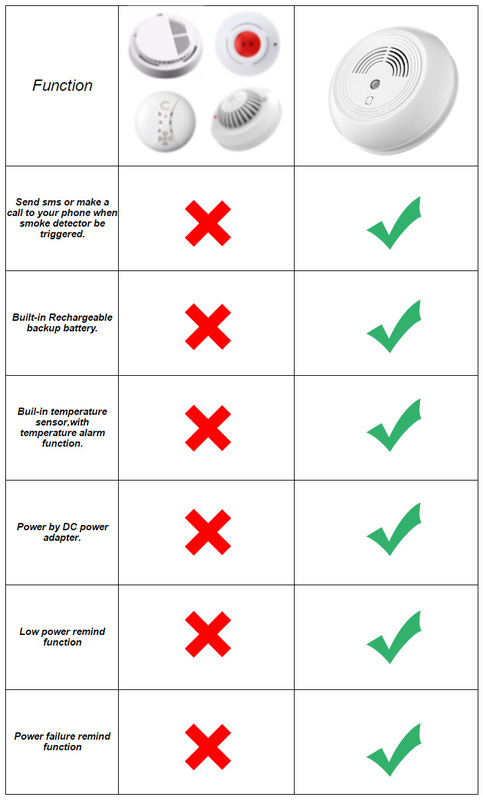 8,Support SMS alert when built-in battery is low power,external power off and other occasions. 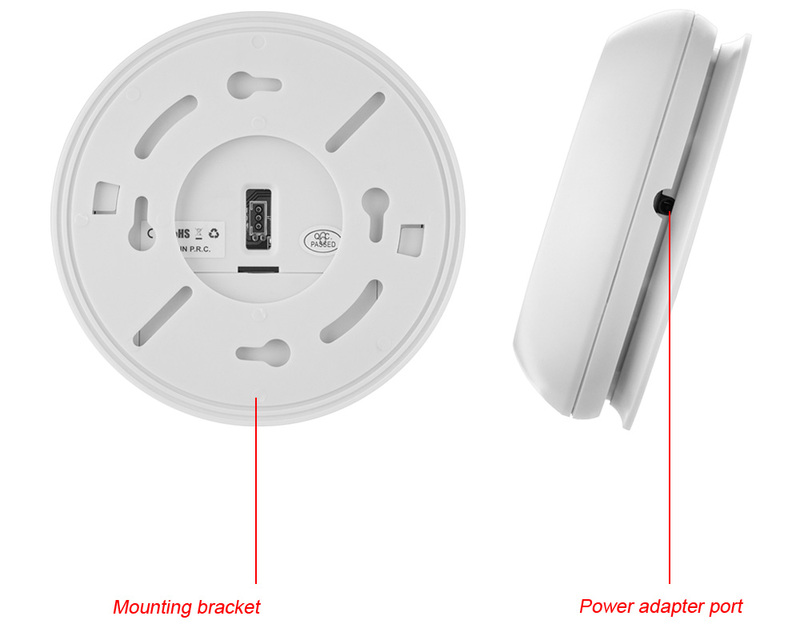 Reasons to choose our GSM smoke detector Some SMS setting Information Package Included Note: GSM SIM card not included,you should order yourself.And we offer EU/UK/AU/US standard plug,please don’t worry about this question. And this GSM smoke detector just can read 2G sim card only.